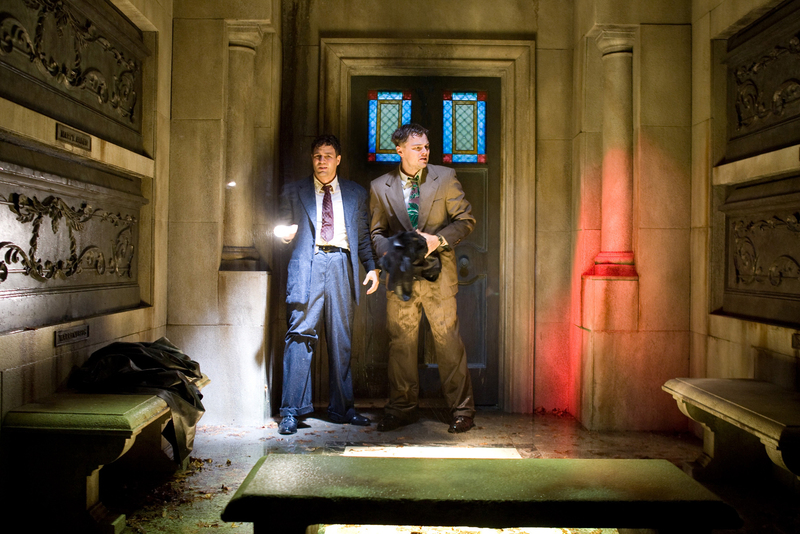 *This post contains spoilers for both the book and film versions of Shutter Island. I’ve tried to avoid them as much as possible, but read with caution! Major spoilers are clearly marked. 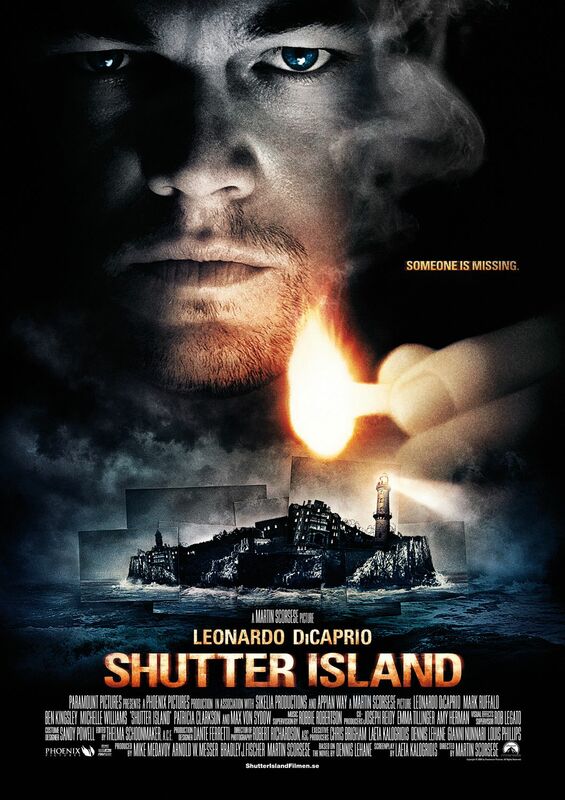 Shutter Island has once been described by the writer as a mix of Invasion of the Body Snatchers and the work of the Bronte sisters. Dennis Lehane published this suspenseful novel in 2003 with Harper Collins. The book is set in the mid-20th century. Teddy Daniels is a United States Marshal and World War II veteran headed for Ashecliffe Hospital, a facility for the “criminally insane” which is positioned on Shutter Island. His new partner Chuck is headed to the island with him via ferry, and their purpose is to search for a patient named Rachel Solando who apparently escaped from her locked room and is either hiding somewhere on the island or laying dead on one of its many sharp rock formations. Upon arrival to the hospital, Teddy immediately becomes suspicious of the staff. Rachel must have had help in order to escape – he is convinced of it. While searching Rachel’s room, Teddy finds a mysterious note about the “law of 4.” He works to decipher this note and uncover the mystery of Rachel while also looking for Andrew Laeddis, another patient at the hospital. Teddy confesses to his partner that his wife died in an apartment fire, and Laeddis was the one who started it. Add in a big storm, a potential government conspiracy and the possibility of Teddy’s own insanity and you’ve got an absolute page-turner. Having watched the film before I read the novel, the big twists were spoiled for me. But still, I couldn’t put the book down! For those who haven’t yet read the book or seen the film, it is an insane ride full of huge, very surprising plot developments. Lehane has created a very complex mystery, not necessarily comparable to but just as exhilarating as any Hitchcock film. The novel is eerie right off the bat. Lehane uses vivid descriptions of the island to really give the reader a feel for how spooky the environment is – the old buildings, the damp woods, the “abandoned” lighthouse, the stormy weather and the thousands upon thousands of rats scurrying around. Setting of a dream vacation, Shutter Island certainly is not. The characters themselves are also spectacularly crafted. [HERE COME A FEW BIG SPOILERS!] The character of Teddy, for instance, is a very harsh man. But the reader doesn’t suspect that anything is odd about him, or that he could possibly be the 67th patient. He has emotional scars, which is obvious, but the level of intricacy that went into his alleged crafting of the Teddy Daniels identity is absolutely baffling. Even in the end, the reader isn’t sure whether to trust the outcome. Lehane succeeds in making his readers buy into the idea of the staff setting Teddy up as a part of a government conspiracy, and the ending comes so suddenly that it’s hard to completely let go of that theory. Overall, Shutter Island is a fantastic mystery novel, absolutely packed with suspense, that is very difficult for the reader to put down. 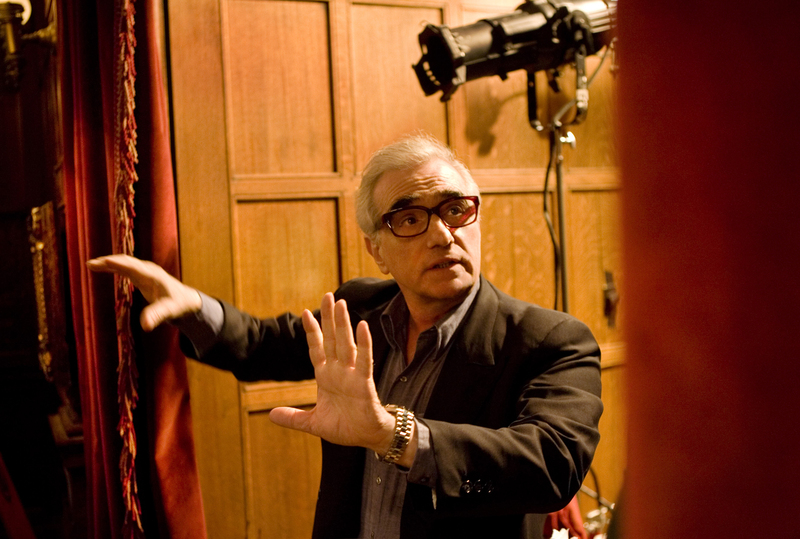 And the 2010 film adaptation, directed by living legend Martin Scorcese, is just as gripping. 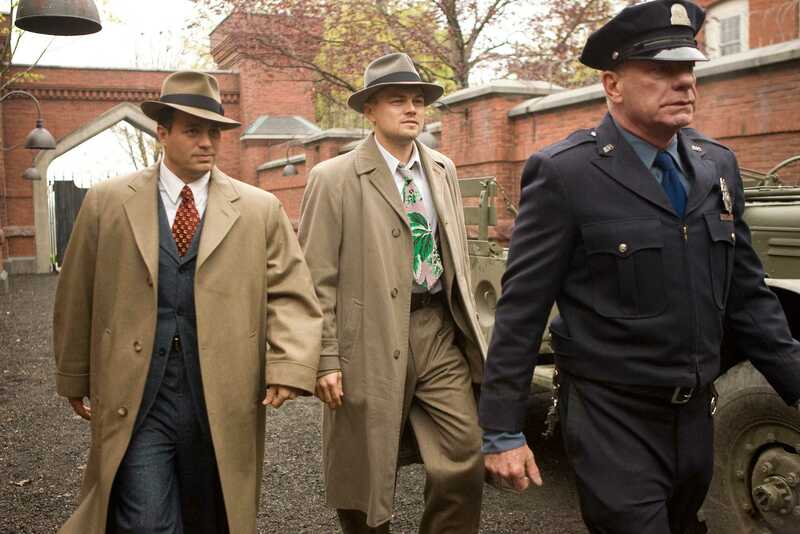 Leo DiCaprio stars as Teddy; Mark Ruffalo as Chuck; Ben Kingsley as the seemingly sinister Dr. Cawley; Max von Sydow as Dr. Naehring; Michelle Williams as Teddy’s deceased wife, Dolores; Emily Mortimer and Patricia Clarkson as Rachel Solando; Ted Levine as the warden of Ashecliffe. A noticable difference between these two versions right off of the bat is that the island seems so much larger in the film. While reading the book I pictured it as a fairly small island which the Marshals were able to canvas and explore quite easily, but in the film it’s absolutely massive and even more imposing. The island in the book almost makes the reader feel claustrophobic, as though anyone who tries to hide from the Ashecliffe staff will be quickly and easily found. The film does, however, maintain the eeriness that Lehane so brilliantly set up through description in his novel. Another big difference is in Rachel Solando’s note. In the book, the note is a bit longer, is more difficult to decipher and requires more detective work by Teddy in order to figure out the puzzle. This is the one aspect of the adaptation that disappointed me, because I felt that Teddy’s quest to discover the meaning of the note really heightened the intrigue of the novel. Leo doesn’t give his character of Teddy quite as much of a mean edge as he was described to have in the book. He seems more like a diligent worker who just wants to get the job done and is struggling along the way due to his own grief and frequent migraines. He’s just as emotionally scarred in the film as he is in the novel, which is very apparent through the flurry of flashbacks and hallucinations of his dead wife and his time in the war. These visions are brilliantly vivid in the film and come to live even more on screen than they ever could on the page. The art direction and cinematography of these scenes is absolutely beautiful. In hindsight, the film drops a whole lot of very obvious hints as to the eventual outcome of the story — hints that I should have caught onto even in the first viewing. But I guess that’s just a testament to how suspenseful the story is. It keeps you so hooked into the “right now” that you’re not looking for reasons to be suspicious of Teddy and his partner or their investigation. Both Dennis Lehane’s novel and its 2010 film adaptation provide the reader/viewer with a fantastic and exciting experience. I highly recommend both. I saw this and I knew what to expect going in to the film as I had already read about half of the book but never got the chance to finish it. But I was surprised at how faithful the film was to the original material.The directing was also masterfully done and pretty cool I saw some cool camera tricks I hadn’t seen since Martin Scorsese directed Bringing Out The Dead, Martin Scorsese did one great job and everyone was top notch especially Ben Kingsley and DiCaprio and I never though I would jump out of fright especially in a Scorsese film but I did. All in all a solid thriller with a good story and some great performances and for me it’s the best film I’ve seen in 2010 so far.